The annual brunch has become a February tradition, with sold-out crowds enjoying a bountiful meal, along side crafters and entertainment. 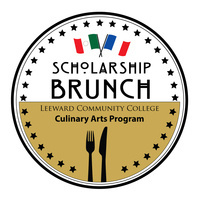 Food service students from Campbell, Kapolei, Leilehua, Mililani, Moanalua, Pearl City, Waianae and Waipahu high schools will partner with Leeward instructors and students to prepare brunch for an anticipated 1,400 guests. This year, in honor of the college's 50th Anniversary, the menu features foods from France and Mexico, the two countries in which the Olympics were held the year the college opened (1968). I enjoyed it!!! How do I get info (AND TICKETS) for next year?? ?